I chose Artful by Peter David this month from among the choices in the Kindle First program for Amazon Prime members. Oliver Twist is one of the most well-known stories ever told, about a young orphan who has to survive the mean streets of London before ultimately being rescued by a kindly benefactor. But it is his friend, the Artful Dodger, who has the far more intriguing tale, filled with more adventure and excitement than anything boring Oliver could possibly get up to. Throw in some vampires and a plot to overthrow the British monarchy, and what you have is the thrilling account that Charles Dickens was too scared to share with the world. 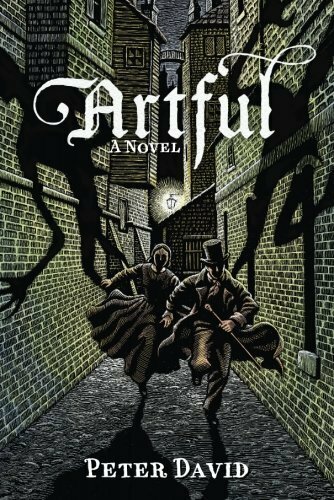 From the brilliant mind of novelist and comic book veteran Peter David, Artful is the dark, funny, and action-packed story of one of the most fascinating characters in literary history. How could I pass this one up?